Kate Micucci was born on 31 March 1980, in Jersey City, New Jersey USA, of Italian descent, and is an actress, comedian, singer/songwriter and artist, but possibly best known as a member of the musical comedy duo Garfunkel and Oates, as well as for her roles in the television series “Scrubs”, “Raising Hope” and “The Big Bang Theory”. So just how rich is Kate Micucci now? According to sources in early 2017, Micucci has earned a net worth over $500,000, established through her involvement in various aspects of the entertainment industry. Micucci grew up in Nazareth, Pennsylvania, where she attended Nazareth Area High School, matriculating in 1998. She later received an A.A. in Fine Arts from Keystone College in La Plume, and a BA in Studio Art from Loyola Marymount University in Los Angeles. Raised by a piano teacher mother and electrical contractor father, Micucci learned to play piano at an early age. She later learned to play trombone, guitar and ukulele as well. In 2007 she and actress and singer/songwriter Riki Lindhome formed a comedy-folk duo known as Garfunkel and Oates. They went on to release four humorous albums, the 2009 “Music Songs”, the 2011 “All Over Your Face”, the 2012 “Slippery When Moist” and the 2015 “Secretions”. They have held numerous performances across the country, achieving a decent level of success and a considerable net worth. Micucci’s acting career started with appearances in numerous commercials, but soon came television gigs, landing guest parts in the 2006 television series “Malcolm in the Middle” and “How I Met Your Mother”, as well as the recurring part of Toni in the series “Four Kings”. Her resume continued to grow with parts in the 2008 films “Husband for Hire” and “Bart Got a Room”, after which she went on with her television involvement, appearing in series like “Cory in the House”, “Rules of Engagement” and “Elevator” in 2009. All added to her net worth. The same year she landed the recurring role of ukulele player Stephanie Gooch in the medical comedy-drama series “Scrubs”, after which she started to get recognized. In 2010 Micucci was cast in the popular Fox sitcom “Raising Hope”, playing the babysitter/dogsitter/eldersitter Shelley for four seasons until 2014, which boosted her popularity, greatly adding to her wealth as well. In the following few years, she made appearances in films “Decoding Annie Parker”, “Rudderless” and “Electric Slide”, and in series such as “Adventure Time” and “Easy to Assemble”. In 2013 she was cast in a recurring role in the hit CBS sitcom “The Big Bang Theory”, playing Raj’s girlfriend Lucy. The show has served as a perfect way for the actress to reinforce her status in the comedy acting world, and to improve her wealth too. The following year she co-created, wrote, executive produced and starred in the short-lived series “Garfunkel and Oates”, along with Riki Lindhome. Her most recent film appearance was in the 2016 films “Don’t Think Twice” and “Unleashed” and in the 2017 comedy “The Little Hours”; her most recent television involvement was in the comedy series “Powerless” in 2017. 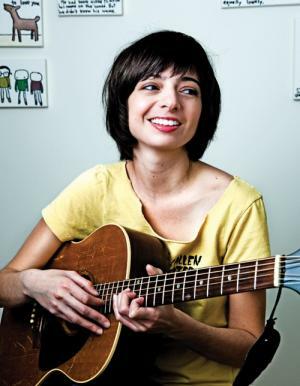 Micucci has also made money by doing voice-over work, for numerous animated series such as “Motorcity”, “Out There”, “Teenage Mutant Ninja Turtles” and “Be Cool, Scooby-Doo!”. She has also done voice-over work in animated films like “Nerdland”, “Lego Scooby-Doo! Haunted Hollywood” and “The Lego Batman Movie”. When speaking about her personal life, Micucci remains single, and tends to keep her off-camera life away from the media, and therefore sources are unaware of her current relationship status.